Pics of my latest CARS. 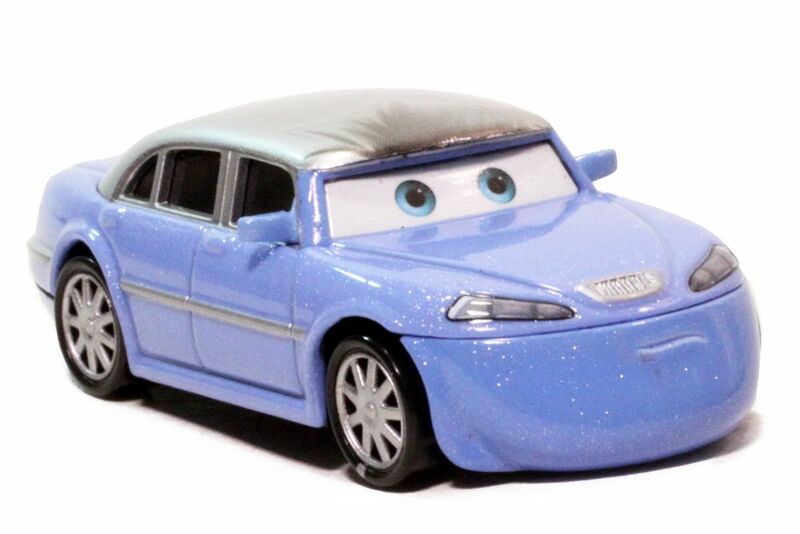 I saw McQueen with Shovel at Disneyland today but he had lenticular eyes. I'll wait for the real version. I found two Final Lap cars today and I have no clue who they are: Jamie, Johnny. 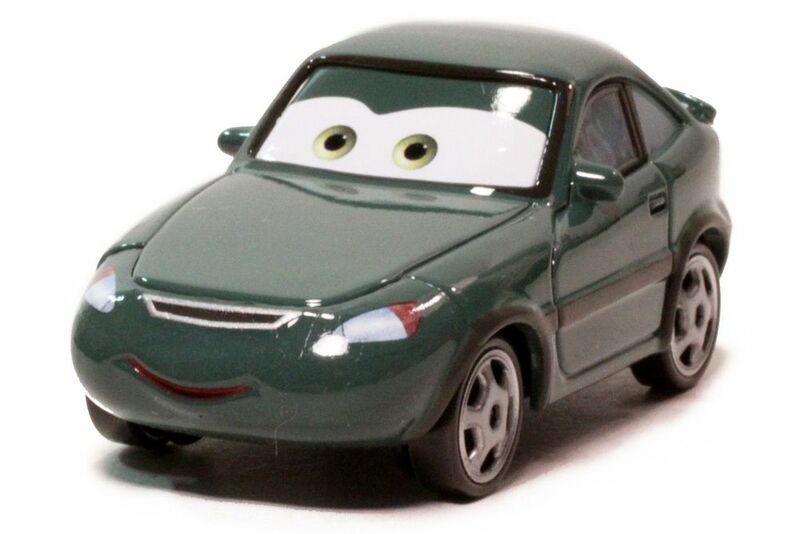 They're just random joe cars. Not positive, but I believe they are the two cars spitting over the edge of the stadium onto cars below before the big race starts. I'm pretty sure that's where Johnny and Jamie appear. And if not we should just all agree on it and no one will be the wiser. Flo with tray is the same one from the TRU set with Waitress Mia and Tia. My box was smashed so I'll open that one up and keep the Flo carded. Nice find Brand. I haven't seen that wave here yet, but we usually seem to be a few days behind you. I have had some luck with a couple of the Chase cars. 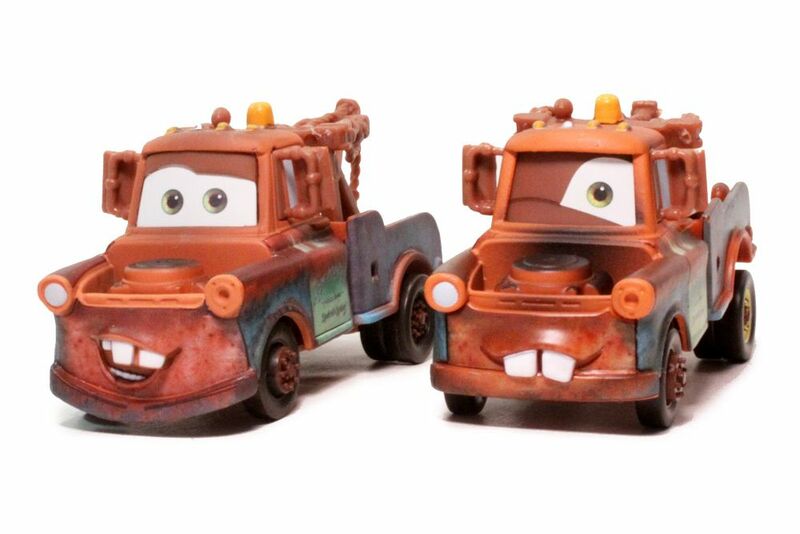 I found one each of McQueen w/Rust-Eze can and Fillmore with Organic Gas Cans. 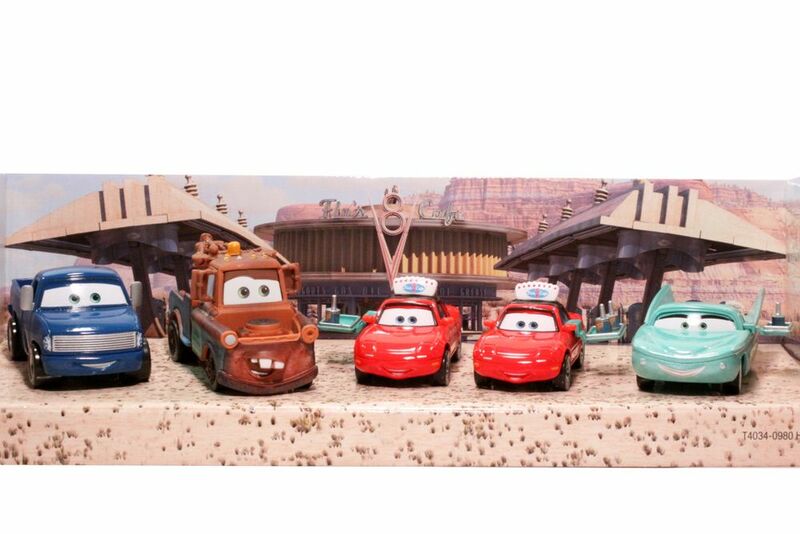 Still no sign of new haulers (Safety Drug, Vinyl Toupee, Bumper Save), Bessie, or the new Toons (Ito San & Kabuto). And, of course, no luck on the Chief/Pitty crew sets of Octane Gain or Bumper Save--Octane Gain supposedly came out a LONG time ago. 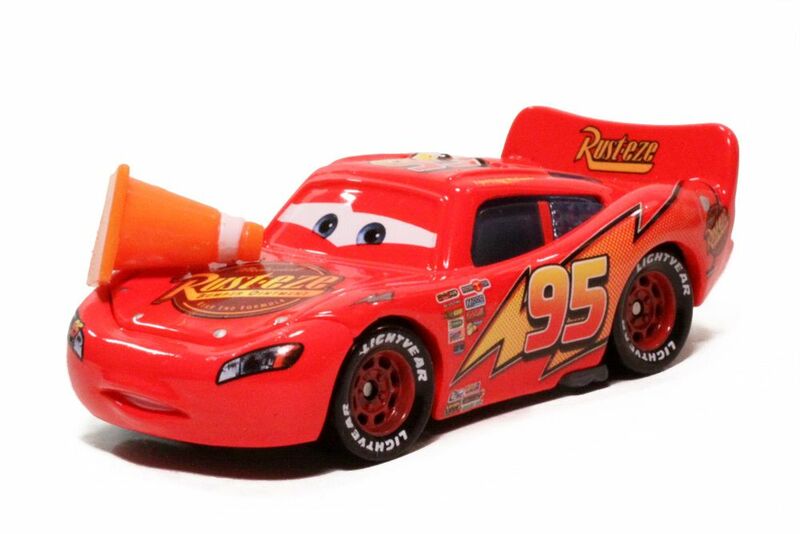 I mighta said this in another thread but Big Lots has a bunch of CARS for well... not much of a savings but Haulers are like $10 and oversized are $6. I saw Bert, Johnny and Artie at Target out here in New York yesterday! 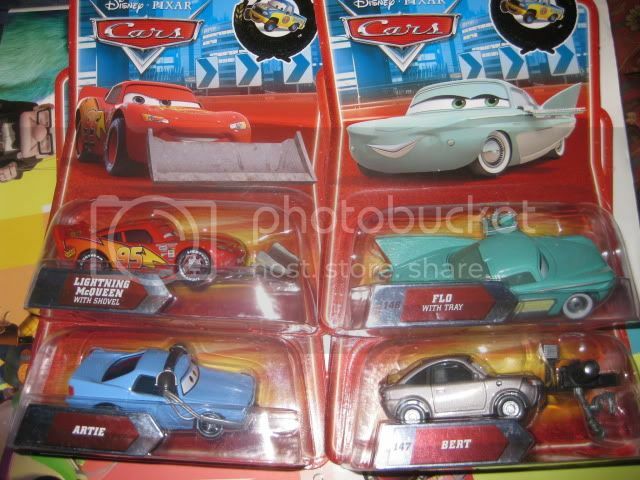 So after flirting with the cars line over the years (I have some of the roginal ones and elvis). I have purchsed quite a few in the last week including Ramones body shop, and Yokoza, Kabuto, Ito San from the Tokyo Mater short. What have I gotten myself into? Last edited by BuzzedLightyear; 07-21-2010, 04:57 PM. 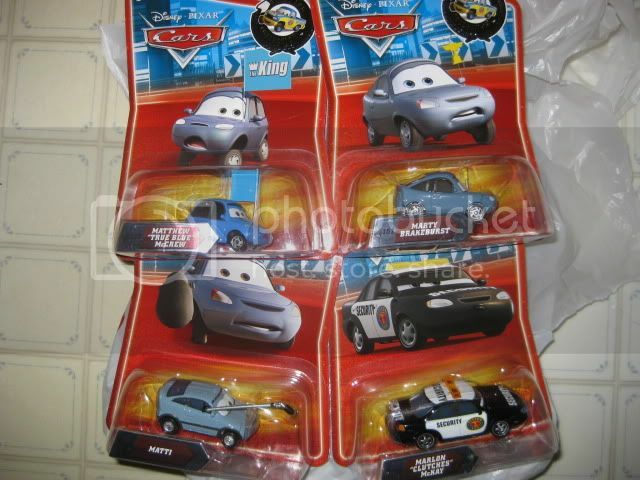 Picked up the 8 K-Mart rubber tires cars last night for $1.99 each as well as the Mater the Greater boxed set. 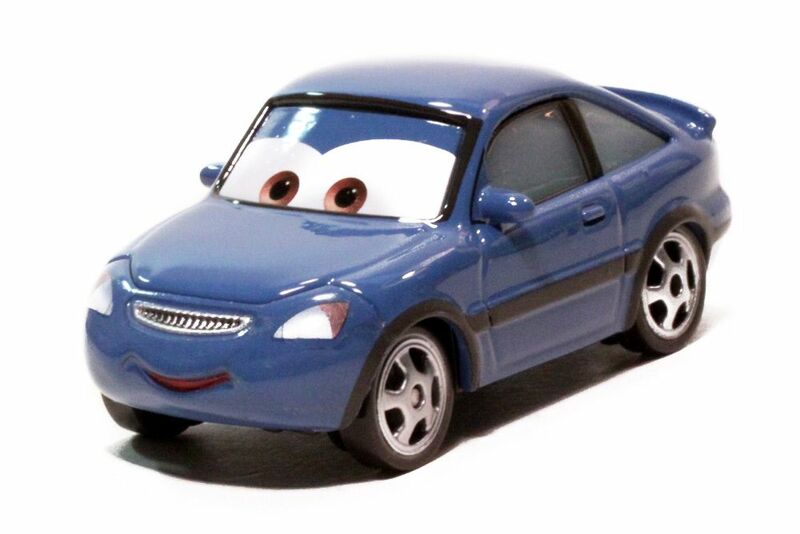 Does anyone have a list of the other rubber tired cars that have already been relesed. I may go back and get them via ebay. 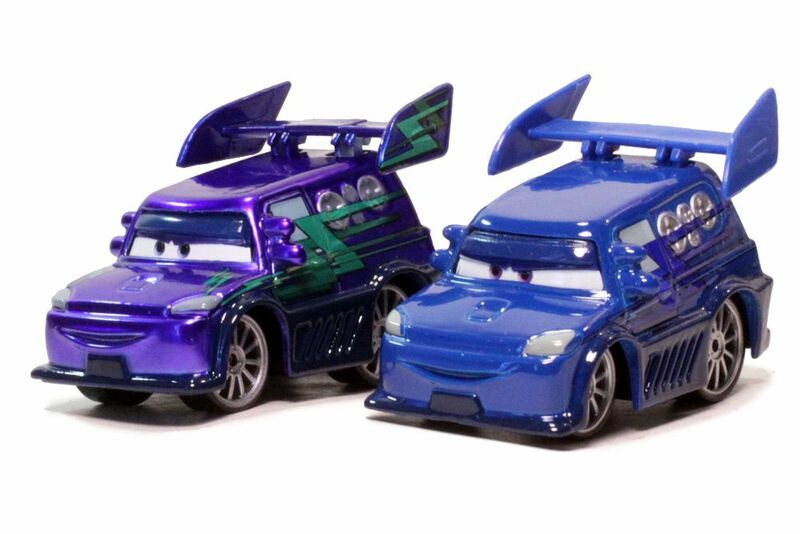 Buzzed, you may be able to get deals on those cars from my friends at carsthetoys.com. I think we should have that checklist there as well but I'll get back to you on that one. Thanks guys. I found all 7 day 3 cars for $34 on bay. On to day 2. Picked up the nitroaide hauler along with the Hudson hornet Johnny and the police cruiser from rescue squad mater today. I found a box set today at Wal-Mart.. the Unidentified Flying Mater set. 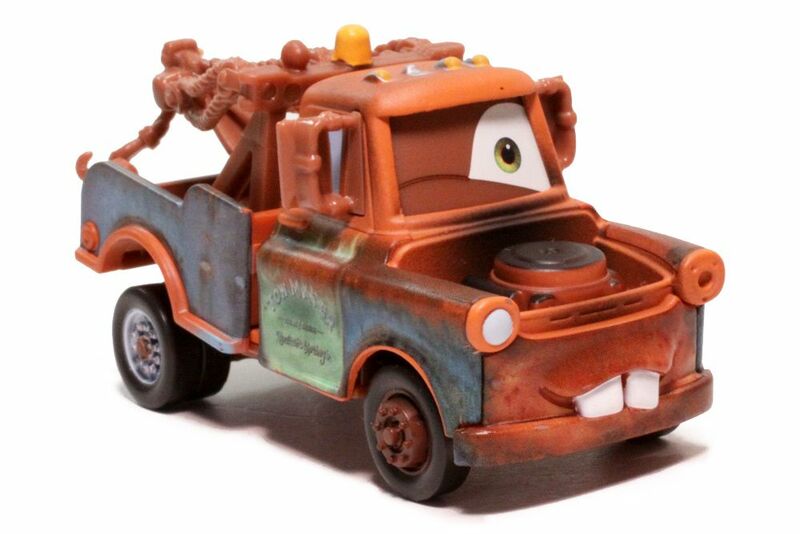 It has Mater, Mother Ship, and the little UFO Mator. It's a playset though so it also has a 360 degree loop. Unsure if they'll release these figures individually. 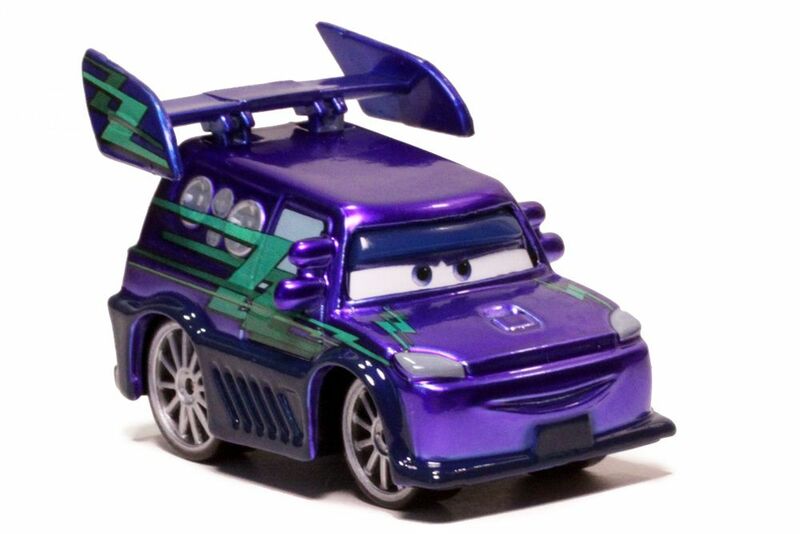 Does anyone know when the Octane Gain and Bumper Save hauler set and pit crew set were available at Target? As far as I can tell, they are the newer releases, but all I've seen is HTB, Dinoco, and Leak Less. I haven't seen those but will keep my... windshield wiped. I saw some Bumper Save and Octane Gain sets during the springtime, around March or April. Thanks guys. I really like the format. It seems like the easiest way to put together the race teams. It seems Nitroade, Easy Idle, and N20 Cola are next. I've never seen either Octane Gain or Bumper Save crew sets sets in the store, and I'm there a lot. Bumper Save is still fairly recent but Octane Gain supposedly came out awhile ago. These are at the top of my Wish-I-Could-Find-These list and have been for some time. If anyone finds extras I'd be most grateful. There aren't many auctions on ebay so I keep hoping there are a bunch sitting in a warehouse somewhere and that we'll eventually see them, I hope. I found some new Final Laps at Target today!